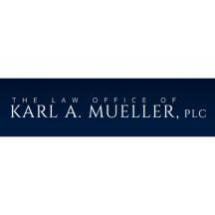 If you live in the East Valley region of Arizona, and you were arrested for DUI or some other serious traffic-related charge, or you have a speeding ticket or some other citation you wish to challenge, you can turn to The Law Office of Karl A. Mueller, PLC, in Tempe, Arizona, for the quality, effective defense counsel you deserve. Backed by more than 20 years of legal experience and a long record of successfully defending the rights of the accused in both state and federal courts, attorney Karl A. Mueller, our law firm's founder, possesses the skills and resources necessary to handle your case efficiently. As a former prosecutor who focused on vehicular crimes, he has in-depth knowledge of the criminal justice system from both sides, which helps him devise the most effective defense strategies possible for our clients. Fully committed to delivering the highest level of advocacy and support to those we serve, we promise to work closely with you throughout all legal proceedings to ensure we have done all we can to help you obtain the favorable outcomes you expect. Personable and accessible, we are available 24/7 to address your questions and concerns and offer updates as to the status of your case. Do not trust your future to just anyone. By contacting The Law Office of Karl A. Mueller, PLC, as soon as possible after your arrest or following your citation and taking advantage of our law firm's free initial consultation, you can begin the process of protecting your rights and preserving your freedom and privileges.